Will Marijuana Use Make North Dakotans Unsafe? | Larson Law Firm P.C. Will Marijuana Use Make North Dakotans Unsafe? Medical marijuana was approved for qualifying medical conditions by North Dakota voters in 2016. Now, potential marijuana dispensaries can apply for applications with the North Dakota Department of Health to open in the Devil’s Lake Jamestown, Dickinson and Minot regions. An article in the Grand Forks Herald reports that the state is allowing one dispensary in each of the eight regions, but the businesses must be located within 50 miles of the chosen cities. As more and more states have opted to legalize marijuana (either for medicinal use, recreational use, or both), the news and the science has focused mostly on car accidents: Will it lead to more car crashes? Will insurance rates go up? 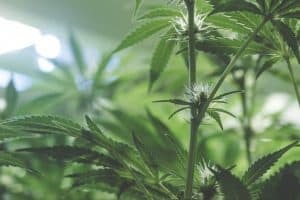 Can you test for marijuana use? The National Safety Council (NSC) reported that car accidents involving marijuana use went up 300% between 2010 and 2013, that they continue to rise in states that legalize the drug, and that marijuana is addictive and is 10x-20x stronger than it was in the 1960s and 70s. This is an important conversation, but it’s not the only one we should be having, especially here in North Dakota. Our economy is rooted in agriculture, oil and gas extraction, manufacturing, and mining – industries that are dangerous enough without having to worry whether or not your colleagues are high when they come to work, even if the marijuana was prescribed. How does marijuana use affect the workers who handle the food we eat? How does marijuana use affect men and women who are working with heavy machinery? If a worker is using marijuana, can you ensure that the products we manufacture are still safe for use? Who can ensure my child’s safety if there is an emergency at school, daycare, or on a school bus? Until we have a better plan for how this largely-untested medication is going to affect everyday people in their everyday lives, there will be an increased risk of injuries for everyone. Workers in the patch, especially, could be at risk. An article in Civilized reports that the issue of marijuana use is closely watched in the oil and gas industry, where workers tend to be young and face hazards like long commutes to and from remote drilling sites, wells that produce poisonous or explosive gas and exposure to heavy machinery. One oil industry CEO reported that company costs have increased for employees who need drug counselling or who fail drug tests and must be sent home under their “zero tolerance” drug and alcohol policy. The Civilized article also pointed out that there is no test to determine if a worker is impaired by any drug other than alcohol. The tests merely show that the person has consumed the drug, but it can’t tell you when it was taken as a person’s urine will be positive for marijuana for five to ten days after using it. If you are injured because someone was still under the influence of prescription marijuana, and he or she made a defective product, or because safety issues at the local grocery store went unnoticed, or because a driver was high when he got behind the wheel, you can make a claim for compensation form the liable party. But shouldn’t there be stricter laws in place to help prevent these types of incidents and injuries in the first place? 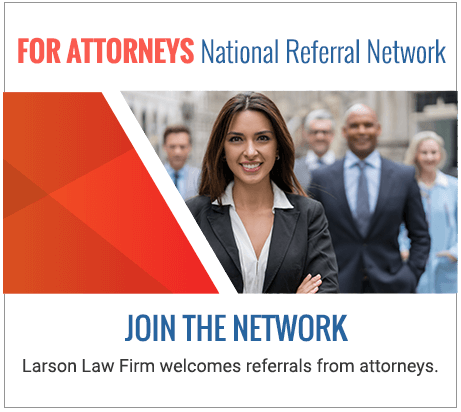 The North Dakota personal injury lawyers of Larson Law Firm P.C. represent injury victims. We work with the police and investigators, when necessary, to show why an accident occurred and who’s responsible. For experienced help, please call our Minot office at 701-484-HURT or use our contact form to schedule a free appointment.